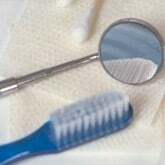 DentalPlans.com offers you an easy, convenient way to save money on General Dentistry and more at a Torrance dentist. Just type in your ZIP code now to compare the discount dental plans in Torrance and view a list of participating dentists. Select one of our featured discount dental plans and enjoy discounts on most dental care services at dentists like Dr. Payal Sharma. Once you've joined the best dental plan for you, schedule a dental appointment with Dr. Payal Sharma in Torrance and get discounts on General Dentistry and more. The discount dental plans available are alternatives to dental insurance that start from $79.95 per year and can provide you with significant savings on most dental care procedures like on General Dentistry and more. By searching our large dentist directory, you can find many general dentists, family dentists and dental care specialists like prosthodontists, endodontists, and pedodontists. So whether you have a toothache, need a root canal or just want your teeth bleached, DentalPlans.com is a great resource for locating Torrance dentists and dental care specialists.